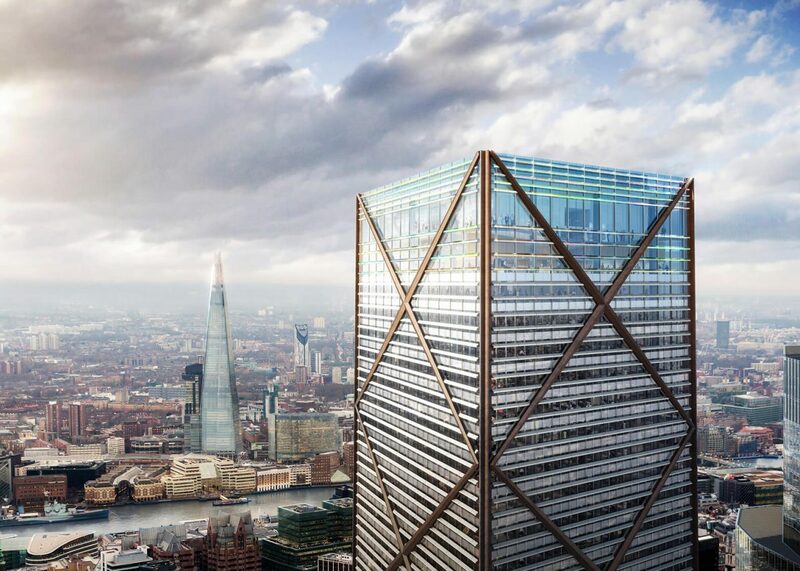 The tower known as ‘1 Undershaft’ will add to the City of London’s swelling sky-line and become the Square Mile’s tallest skyscraper if approved. Rising 73 storeys, the development is proposed to include London’s highest viewing gallery and restaurant as well as educational space, for which the developer is in ongoing discussions with the Museum of London. Singapore-based developers Aroland Holdings, commissioned architect Eric Parry to design the 73-storey landmark but experienced difficulties through planning and with the concept design. In October this year, the scheme had to be re-submitted to the City of London in response to concerns from the aviation authorities, key stakeholders and neighbouring residents as well. As part of the revised proposal Parry has now shortened the design by just under 5m to a height of 304.94m, down from 309.6m and this was achieved by reducing the height of each floor by 50mm and making reductions to the design of the plantrooms. The tower will still dwarf other buildings in the area and after a decade of outlandish proposals, Parry has now designed a refreshingly bland stick of a building which will serve as centrepiece in the Square Mile. The building has the feel of a no-nonsense skyscraper more commonly found in Chicago or New York, while still delivering on the City of London’s unique ‘requirement’ for a building to be ‘nickname-able’. The matte Cor-Ten steel is intended to absorb light while the white gloss will glint all the way to the top and despite its simple form, the exposed structure and whiff of industrial engineering, means the building will without doubt add its own unique charm to the sky-line. Next week the City of London is expected to rubber stamp the project and we can expect it out to tender shortly thereafter. If you are a Specialist who hopes to secure similar work, head to www.c-link.com; C-Link is host to procurement Professionals and packages for a wide array of work. C-Link – Growing alongside Construction.